Age 15 years and up. Sat & Sun 8-4:30 p.m. The first day of class, participants must pass these skills in order to continue in the class. It is strongly recommended that candidates practice the prerequisites before attending the course. Swim Continuously, using front crawl and breast stroke (must demonstrate rhythmic breathing - face in the water - goggles permitted). 2 Minute Tread using just your legs. Hands under your armpits. Swim 5 yards, submerge under water and retrieve 3 dive rings placed 5 yards apart, return to the surface, and swim 5 more yards. No goggles. 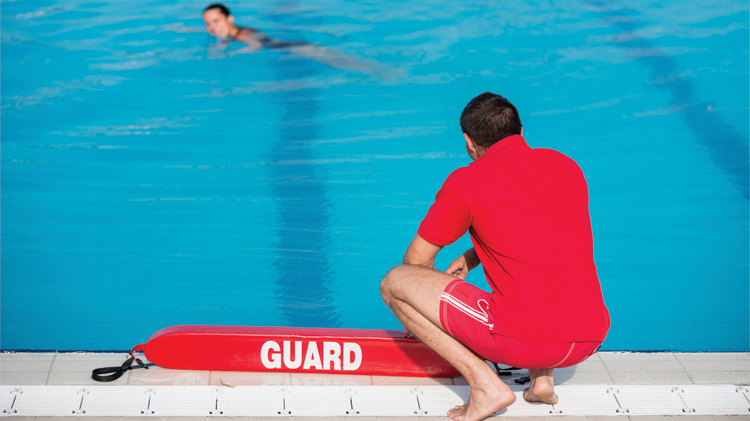 We are looking to fill lifeguard positions starting at $10.55 and up.